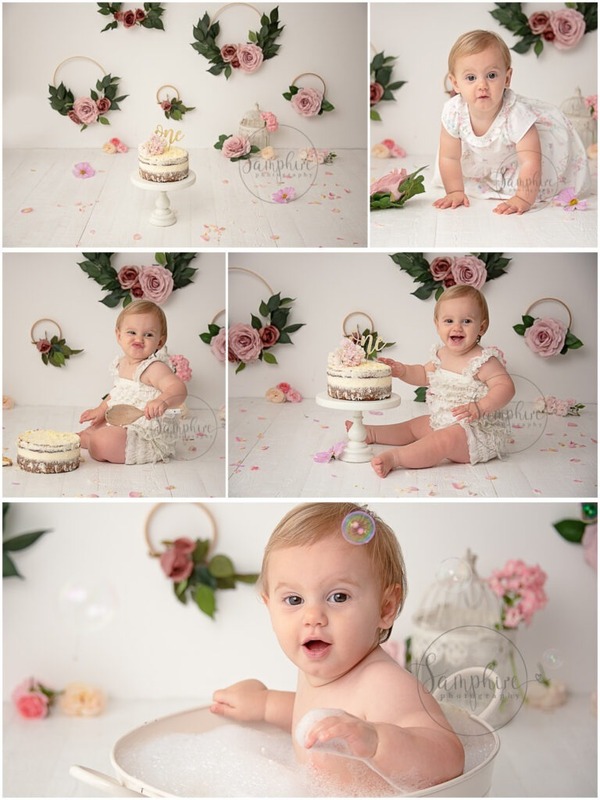 I think little Ava had a wonderful time; there were lots of smiles and giggles, not to mention some fantastic faces that she pulled, all of which were captured for Mum & Dad to treasure as memories of their super special girl as she was turning one. 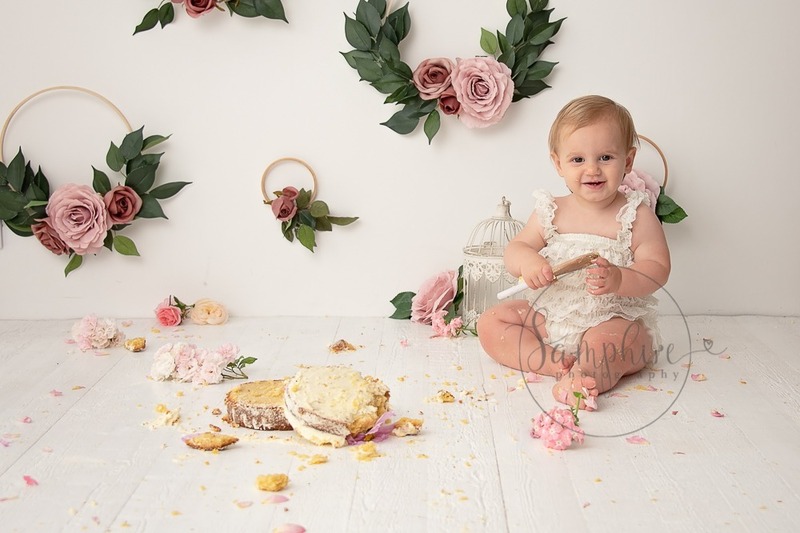 When you book in for a bespoke Cake Smash with me at Samphire Photography we discuss what colours and/or themes you would like to see and I then go away and design everything for you, ready for the session. I provide an outfit for the session if you wish, you simply need to bring along a before-the-smash outfit that you would like your little one to be photographed in before the fun (a.k.a. mess!) happens. Alternatively, I can also provide this outfit too, you just need to ask. And remember, we always finish the session with a splash in the tub to clean up before you leave. Well, the little one will be clean, mums and dads are sometimes still covered in cake crumbs! If you are lucky, there may even be some cake left to take home with you. 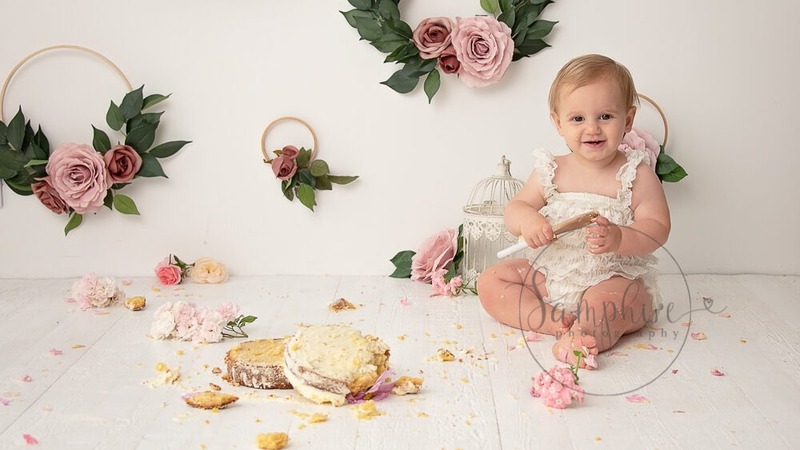 If you would like to book in for a bespoke Cake Smash session with me at Samphire Photography, just contact me on the link below and I will be in touch to discuss your individual requirements.